Toner might be low, so take out the cartridge and shake it. If this doesn’t work, try replacements. The print density could be too light. Adjust the print density within the printer settings and try again. The paper may have spots of moisture, or it may just be a bad batch of paper. Try a few different sheets, or open a new ream to see if the quality improves. Check the transfer roller. If you are comfortable cleaning it yourself, go for it. Otherwise, just order a replacement roller. 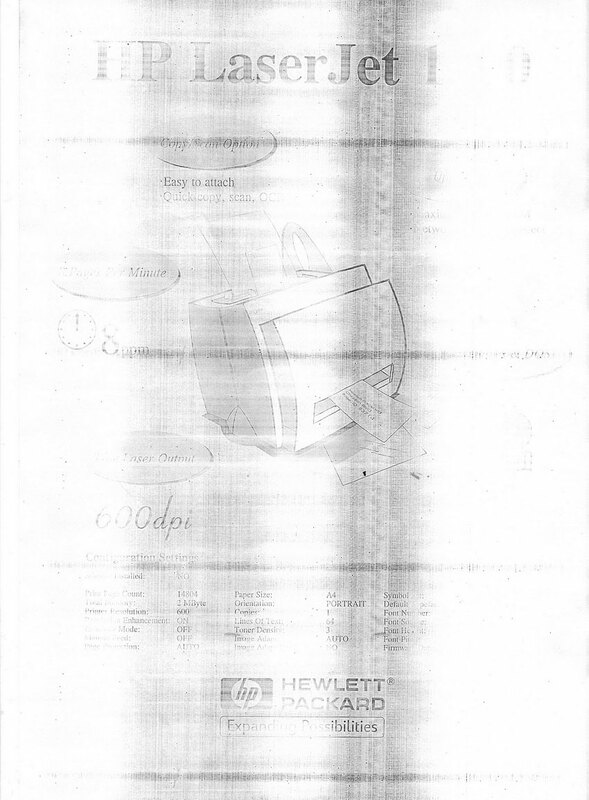 The drum, which typically resides within the toner cartridge, may be scratched. If this is the case, replace the entire cartridge assembly. If the drum is a separate component, replace it. If the lines are smeared, check the rollers for scratches, or replace the fuser. Check the paper guides and rollers for extra toner. Clean them off with a cotton ball or swab and a bit of rubbing alcohol, then try printing again. If the excess toner is just loose on the paper, the fuser may not be heating it correctly, and may need to be replaced. By consulting the different sections above, you may be able to quickly diagnose and resolve your print quality issues. Be sure to bookmark this page for future reference, and for more extensive cleaning, see Deep-Cleaning Laser Printers.